Almost 62 percent of all websites are still running PHP version 5 – even as version 5.6 of the server-side scripting language inches toward an ominous end-of-life. Hypertext Preprocessor (PHP), a programming language designed for use in web-based applications with HTML content, supports a wide variety of platforms and is used by numerous web-based software applications, including popular content management systems like WordPress, Joomla and Drupal. However, starting in December, versions 5.6 and 7.0 will no longer be supported. 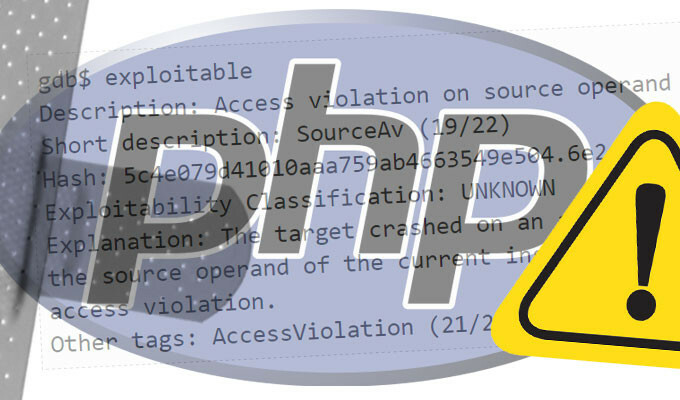 “The deadlines will not be extended, and it is critical that PHP-based websites are upgraded to ensure that security support is provided,” a recent CERT notice has warned users. Despite end-of-life in the horizon, a new report by Web Technology Surveys found that PHP version 5 is still used by 61.8 percent of all server-side programming language websites. 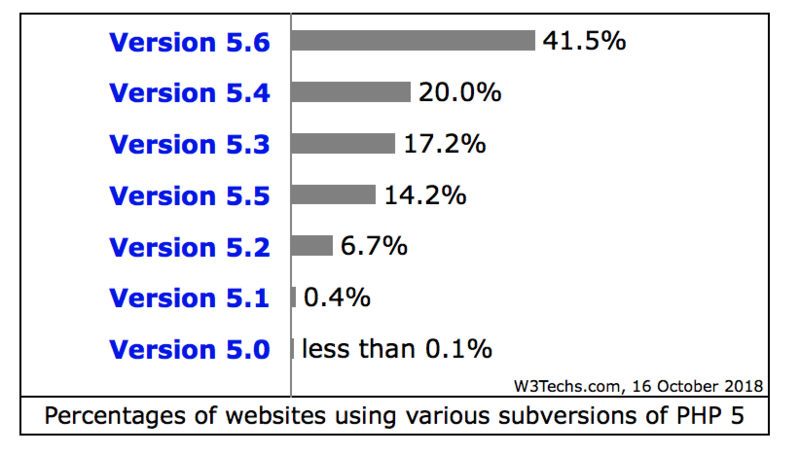 And, of those using version 5, 41.5 percent of websites are using version 5.6, the report said. 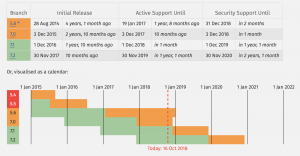 What this means is, security patches, upgrades and bug fixes will cease for end-of-life technology – putting that percentage of PHP-based websites using PHP 7.0 and below at risk. Researchers and developers alike have called on these websites to update to newer, supported versions of PHP 7.2. It’s particularly critical given the popularity of PHP: A full 78.9 percent of all websites use PHP overall, Web Technology Surveys’ report found. 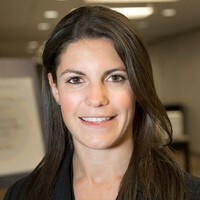 Martin Wheatley, senior web application developer and web security tester, said that impacted websites would run on a platform that no longer receives updates – opening them up to hacks, data exposure or malware. Many websites are dragging their feet given that the updates cost time and money, he said. 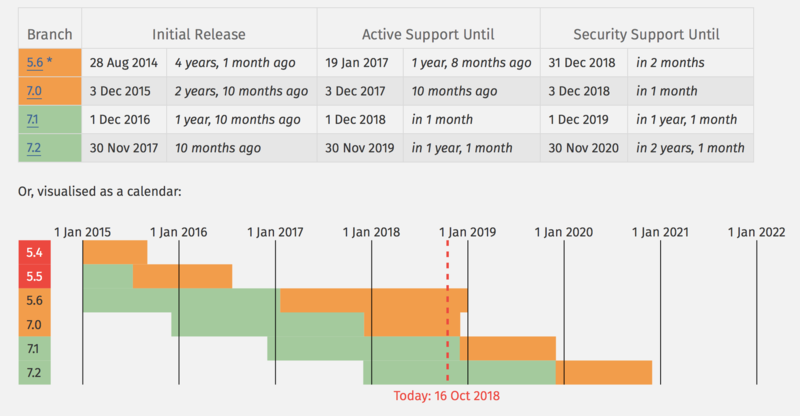 And content management systems are doing nothing to help this cause – Drupal is the only CMS that has posted an official notice requiring an upgrade to PHP 7 by March (three months after the PHP 5.6 end of life deadline). There has been no such notice from WordPress or Joomla. Neither responded to a request for comment from Threatpost. 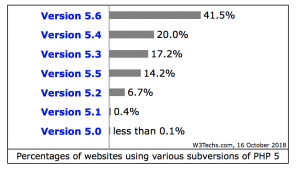 So what can websites that are still using PHP 5.6 do? Software engineer David Eddy stressed that they should contact their hosting provider and push them to support a secure version of the language. In addition to the risks associated with PHP 5.6, PHP 7.1 comes with advantages, including new features and bug fixes. That includes speed improvements, according to web developer and Under2 Co-Founder Shane Jones, who took to Twitter to encourage websites to upgrade. Anyone that's worked with me recently will know that I've been banging on about upgrading from #PHP5 to #PHP7 for years now. Mainly I've been focussed on the speed improvements due to #PHP being able to process more requests per second. Especially in #WordPress. 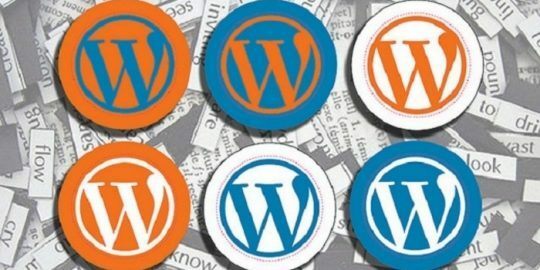 In the end, while updating PHP is painful and time-consuming, is it worth protecting websites from various security risks that come with end of life, experts said. “Yes it does cost time and money, but what’s worse, a small monthly support fee, or a headline ‘Site hacked, thousands of user details stolen’ followed by a fine for up to 20 million euros or 4% of your turnover under GDPR… I know what I’d rather pay,” said Wheatley. Hang on, lets remember how Linux works here, before we pay any attention to those numbers. We should remember that a great number of those systems are not running "upstream php" but a package from their Linux distrubition (Debian, Red Hat Enterprise, Centos etc etc) that will support their own PHP7.0.x and PHP5.6.x packages with security fixes for many years to come - They'll miss out on non-security related bug fixes, but is that much to shout about?. Essentially it is only the windows servers that are actually likely to go out of security support. Relying on version numbers is a major mistake which any serious security researcher should never make. Older PHP can be perfectly fine for many years to come, depending on the operating system underneath. Scaremongering admins into uncontrolled updates is much more dangerous. Most do not realize that by directly installing from upstream they need to actively maintain it because the operating system will not do it anymore. In the end, the security of a webserver is much more at risk with that approach. Not to mention conflicts by messing with the package manager what causes even more issues. That's a perfect way to ruin your system and website.